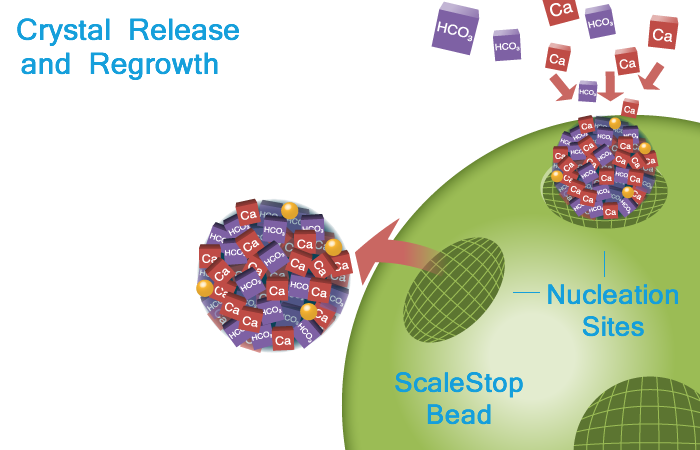 ScaleStop is a chemical free, highly effective for of calcium hardness scale control. Scale Stop replacement cartridges or media are cost-effective, and change out periods can be as little as every 3 years for higher flow rate systems. All commercial testing and approval is reinforced by independent third party verification through an internationally recognized testing protocol for hard scale prevention. Extremely efficient – 5 seconds contact time regardless of hardness level. Conventional Ion Exchange resin requires 90 seconds. Unique “Template Assisted Crystallization” (TAC) technology induces the formation of microscopic calcium crystals which effectively isolate hardness from the water chemistry. next-ScaleStop has proven itself in a variety of applications as an alternative to ion exchange softening or other conventional water treatment methods. The maintenance-free characteristics make it especially suited for Foodservice and Commercial applications where equipment maintenance is often overlooked. next-ScaleStop is a great alternative for residential use, especially in areas with brine discharge restrictions or where brackish water makes it impossible to operate a conventional softener. Laundry – reduced soap usage, cleaner clothes. Dishwasher – reduced soap usage, less spotting, no scale formation. 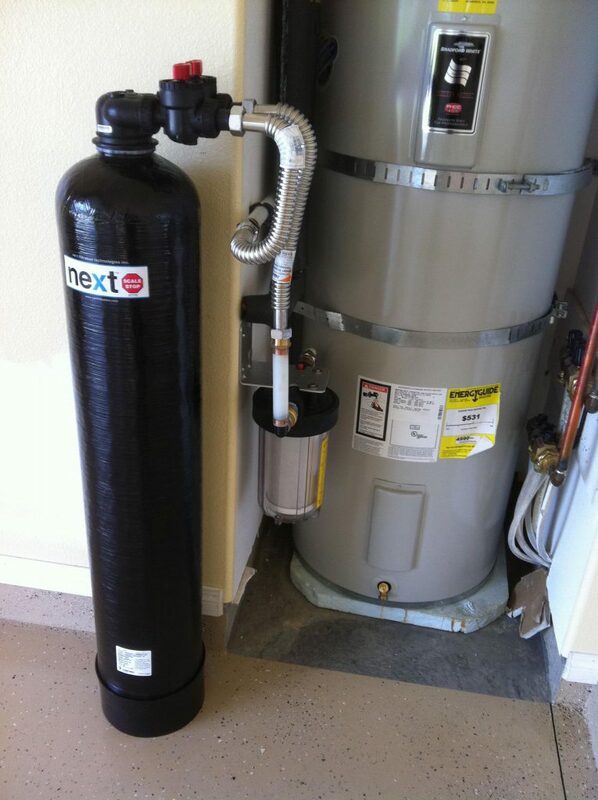 Water Heater – complete protection from scale. Drinking water – beneficial minerals are retained, no sodium or other chemicals added to water. Next Scale Stop media version 1.0 has been tested against the DVGW W-512 protocol for validating the performance of “salt-free” scale control devices. The New Scale Stop system now incorporates version 3.0 media. Next ScaleStop is not a salt-free softener, it is a highly effective salt-free scale control technology.